The full implementation of Agenda 21 is nearing completion as the global Sustainable Development Goals of the United Nations are set on a 2015 timeline. There are already many hints available at the wide-scale transformation set to take place, as multiple locations in the United States continue doing battle with the arrival of sweeping bureaucratic code enforcement. 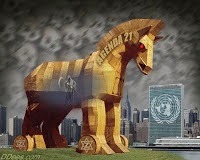 Agenda 21 is a U.N.-directed action plan that has so many tentacles, it is often difficult to see this creature in its entirety. Essentially, using the threat of climate change and overpopulation as core global concerns, a mountain of new regulations forcing local communities to adopt global directives will usher in global governance literally from the ground up. Agenda 21 proposes an array of actions which are intended to be implemented byevery person on Earth … it calls for specific changes in the activities of all people … Effective execution of Agenda 21 will require a profound reorientation of all humans, unlike anything the world has ever experienced… ” Agenda 21: The Earth Summit Strategy to Save Our Planet (Earthpress, 1993). A firm outline has now been set for Malaysia by its local chapter of the United Nations' Sustainable Development Solutions Network. The press release below offers a strong indication of where the rest of the world is likely to end up unless we continue our pushback against this paramount threat to free humanity. An additional note: While we should all do our best to be conscious of our personal impact on the environment, we should not be forced into lifestyle modifications by the ruling elite built upon a centralized plan. As you read through the "solutions" below, it is important to acknowledge that true sustainability, i.e. self-sufficiency, can be created through local initiatives free from government imposition and intrusion. I would direct you to Tony Cartalucci's excellent website Local Org where he explores many of the positive ideas that are erupting across the planet as people are beginning to understand that government-directed solutions are nearly always the source of the problem itself. Environmentalists need to wake up to the fact that the "green" movement has been completely hijacked for less than noble reasons. All true solutions must derive from open-source models so that the distribution of technology which will benefit economies and the environment is available to all. Carbon taxes and social engineering projects need to be shouted down immediately. As nations zero in on the UN's post-2015 global Sustainable Development Goals, innovations being successfully pioneered and demonstrated in Malaysia offer several proven tactical ideas for improving the world, says an influential international sustainable development networking organization. The UN's Sustainable Development Solutions Network (SDSN), through its Malaysian chapter, cites ways in which the country is "rising to the challenge," including the construction of ingenious, self-sustaining "smart" villages -- each lifting about 100 families out of poverty and into affordable homes and employment. Meanwhile, guides for minimizing the carbon footprint of cities while promoting healthy lifestyles, and using science to extract new wealth from palm biomass waste are among other creative initiatives underway in Malaysia that help light a path for emerging economy countries. Malaysia's achievements in sustainable development will be highlighted at the 2nd Annual International Conference on Sustainable Development Practice (Columbia University, New York, Sept. 17-18, http://bit.ly/1xbOBjA). At the event, experts will share proven, evidence-based approaches to sustainability with the goal of informing negotiations underway on the world's post-2015 development agenda. A special conference session, "Sustainable Development: Experiences from Malaysia," is detailed below). The Conference immediately precedes the 5th SDSN Leadership Council meeting (Sept. 19-20, Colombia University). The achievements also reflect the success of the Global Science and Innovation Advisory Council, comprised of leading international experts in education, economics, business, science and technology advising Malaysia's drive to achieve an environmentally-sustainable, high-income economy based on knowledge and innovation. On Sept. 24, at the New York Academy of Sciences, Malaysian Prime Minister Dato' Sri Najib Razak, will chair GSIAC's 4th annual meeting. Says Tan Sri Zakri Abdul Hamid, Science Advisor to Malaysia's Prime Minister and co-chair of MIGHT: "This review of Malaysia's achievements in sustainable development is in part a tribute to the international expertise, perspectives and advice provided by our country's unique GSIAC.Malaysia continues progressing towards high-income status -- $20,000 per capita annually -- but recognizes inter-generational obligations and is determined to achieve our goal without compromising the future of our successors on this planet." High-tech "smart villages" under construction in Malaysia are lifting incomes for scores of rural families while promoting environmental sustainability. Each community consists of about 100 affordable homes, high-tech educational, training and recreational facilities, with an integrated, sustainable farm system providing villagers with food and employment -- on average tripling monthly income to about US $475. Three villages are completed, four more are in progress and 11 more are planned in rural Malaysia for completion next year. Nine of the villages are in areas settled under Malaysia's Federal Land Development Authority -- a government agency founded to help resettle poor families in newly-developed areas with smallholder farms growing cash crops. The smart villages -- designed, built (on about 50 acres each) and initially managed by Malaysia's IRIS corporation -- feature 1,000 square-foot homes built largely from post-consumer materials, each home constructed in just 10 days at a cost of under $20,000 (see http://bit.ly/1lYejDu). The innovative farming operations include a cascading series of fish tanks. Aquafarmed at the top of the water ladder are fish species sensitive to water quality, next tilapia, then guppies and finally algae, the latter two used to feed the larger fish. Filtered fish tank wastewater then irrigates trees, grain fields, and high-value plants grown in "Autopots" - a three piece container featuring a smart valve that detects soil moisture levels and releases water precisely as required, reducing the need for fertilizer and pesticides. Worms from plants compost are fed to free-range chickens. This system optimizes nutrient absorption, minimizes waste and enables crops to be grown in previously non-arable land. Premium produce sold at market include Golden Melon, Butterhead Lettuce, Misai Kuching (herbal tea), Jade Perch fish and the free-range chickens. The village's solar-generated power is complemented by biomass energy and mini-hydro electricity. A community hall, resource centre, places of worship, playgrounds and educational facilities equipped with 4G Internet service support both e-learning and e-health services. Malaysia's population grew 53% in 20 years - from 18 million in 1990 to 28 million in 2010 with over 33 million predicted by the end of this decade. In 2020, some 75% will live in cities (almost tripling Peninsular Malaysia's urban demographic from the 27% proportion recorded in 1960). With urban developments contributing 50% of world greenhouse gas emissions, striving to achieve low-carbon cities is essential to mitigating the planet's warming trend. The Low-Carbon Cities Framework and Assessment System, created by Malaysia's Ministry of Energy, Green Technology and Water and partners, offers a guide to planning low-carbon cities and their management. And it includes an assessment system enabling the calculation of a carbon footprint baseline and the measurement of changes in emissions from a particular development. Meanwhile, Iskandar Malaysia under development in the south of the country, is the first "smart metropolis" of Southeast Asia founded on principles of social integration and ambitions of being a low carbon emitting city thanks to a green economy and green technologies. The development offers a potential template for urban development in emerging economy countries with burgeoning populations. Located on the southern tip of the Malay Peninsula opposite Singapore, Iskandar covers 2,217 square km -- an area the size of Luxembourg - and is made up of skyscrapers and high rises as well as low-carbon, self-contained cities, townships, villages and neighbourhoods. Its population of 1.3 million people in 2010 expected to roughly triple by 2025. Livability and sustainability are cornerstones of Iskandar development, as is the goal of greenhouse gas emissions no greater than the volume that nature absorbs. Having determined that the oil palm industry's waste biomass can be refined into high value "green chemicals," Malaysia has in sight a major potential economic windfall from massive plantations covering almost 15% of the nation. Introduced to the country as an ornamental plant in 1870, oil palms today cover roughly 5 million hectares (19,000 sq mi) of Malaysia. The reddish pulp of the plant's fruit is used to make a vegetable oil widely used worldwide in cooking, as well as in an enormous range of consumer products from toothpaste to lipstick. Typically today, some 40% of the fibers and shells of empty fresh fruit bunches is unused. Now available, thanks to new technologies, is a potential national economic bonus amounting to billions of dollars each year, creating thousands of jobs in the bargain. International experts estimate that the potential from processing 20% of Malaysia's 80 million metric tonnes of annual oil palm biomass could generate an economic windfall in green chemicals and products valued at $30 billion per year by 2025. Prime Minister Najib created MYBiomass -- a special-purpose organization dedicated to making the nation as a market leader in high value green chemicals, in 2011 on the advice of the GSIAC. And an agreement signed last year between MYBiomass's shareholders -- MIGHT, Sime Darby Berhad and Felda Global Ventures Holdings Berhad -- confirms the commitment of Malaysia's largest plantation companies in this initiative. The green chemical industry today worldwide is estimated at $2.8 billion, seen rising to about $100 billion in 2020. MYBiomass has done extensive feasibility studies, factoring in fertilizer replacement costs and evaluating alternative potential uses of the biomass as energy feedstock. The cost of constructing a bio-refinery to produce green chemicals in Malaysia ranges between US $80 million and $300 million, depending on such factors the size, technology and location. Started in 2010 in a predominantly low-income neighbourhood with about 15,840 residents in five apartment blocks, the Kondo Rakyat Community Project strives to be a model of sustainable urban practices. The project's initial activities: collect used cooking oil (sold to the biofuel industry), create gardens (herbs, vegetables and fruits) in kitchens throughout the complex, convert garden waste into compost aided by an on-site shredder and anaerobic digester (the compost recycled through the kitchen gardens), and a "green bazaar" (in which the sale of reusable items provides an assistance fund for the community's neediest individuals). The program helps community members to help themselves with fresh, self-grown produce and income generating activities while reducing the release of oils into surrounding waters. Some 2,500 bicycles purchased by Universiti Putra Malaysia form part of a major new drive to make cycling and walking the main modes of transportation for students and staff. The program not only fosters healthier, active lifestyles, it will cut campus bus rentals by 65% (saving about US $940,000), and lower carbon dioxide emissions by more than one-third. A holistic "Zero Campus Waste" management model at Universiti Malaya, meanwhile, is diverting 80% of the campus' annual 11 tonnes of food and plant waste away from landfills and converting it into biofuels and compost for organic farming operations. The proceeds from the food harvests, served in the campus' Green Cafe, help fund the programme. In addition to its teaching value as an exemplary practice, annual savings amount about 10 tonnes of carbon emissions. The first comprehensive initiative of its kind in SouthEast Asia, creation of the Langkawi Geopark has significantly raised the income of fishing boat operators by transforming them into eco-tourism boat guides. Not only has the effort aided research and conservation of Langkawi's 550 million year-old rock formations, it has created a tourism hot-spot -- the number of visitors rising from 1.8 million in 2005 (estimated spending: US $2.8 million) to 3 million (spending US $6.8 million) in 2012. The successful approach has set the model for three new geo-heritage parks. Using a rural cottage industry business model, the Universiti Kebangsaan Malaysia and a private firm, Solartif, have create a job-creating, eco-friendly enterprise manufacturing solar panels to dry an extensive variety agricultural and marine products. The products include tapioca, groundnuts, noodles, coffee beans, mussels, anchovies, bananas and other tropical fruits, fish, seaweed, chilies, medical herbs and palm oil fronds. The solar panel systems produce an estimated 1 megawatt of energy per year and replace conventional diesel-fired dryers, with savings that repay the capital investment required in less than two years, while creating job opportunities in rural areas with large growth opportunities seen ahead. World seaweed production alone in 2012 was an estimated 700,000 tonnes. The solar drying systems, now in use in Malaysia and Cambodia are designed to process 5 tonnes per year. Lymphatic filaiasis is a disfiguring disease transmitted by mosquito bites. Parasites lodge in the lymphatic system causing elephantiasis - a thickening of the skin and underlying tissues. Worldwide, the number of life years lost to disability due to the disease is 5.8 million. Early, accurate diagnosis is critical and the Institute for Research in Molecular Medicine at the Universiti Sains Malaysia's has spearheaded development of rapid test kits as part of the answer to this health scourge. 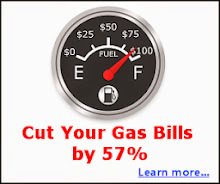 It is an affordable, mass-produced kit providing results in just 15-20 minutes. It has been commercialized in 18 countries, benefiting 2 million patients while creating 500 jobs so far. Meanwhile, an initiative called "Endevour Mobile" created the world's first mobile radiology collaboration platform. Combining medical imaging and cellular communications technologies, the platform lets medical professionals provide real-time advice to patients in remote parts of Malaysia, improve healthcare nationwide by extending the reach of medical expertise and enabling savings for patients who otherwise require transportation and lodging. The Consortium of Southeast Asian Seaweed Taxonomy is building expertise in taxonomic science while helping to preserve biodiversity and document commercially valuable species used in a variety of industrial products as well as in drugs and cosmetics. Led in Malaysia by the University of Malaya and supported by the Ministry of Science, Technology and Innovation and national marine research institutes, students collect samples, identify them with the help of laboratory mentors, and co-author papers and monographs. Every year on May 23, world turtle day helps increase knowledge and respect for turtles and tortoises. Around the island of Mabul, the Universit Malaysia Sabah's Borneo Marine Research Institute and several partners, including popular diving resorts, conduct an annual underwater census of local turtles during which the animals are measured, tagged and photographed. The most recent census found 46 animals, helping create public awareness of turtles' declining numbers (down 95% worldwide) while enhancing research and conservation. Launched by UN Secretary-General Ban Ki-moon in August 2012, the SDSN mobilizes scientific and technical expertise from academia, civil society and the private sector in support of sustainable development problem-solving at local, national, and global scales. The SDSN promotes integrated approaches to the world's interconnected economic, social, and environmental challenges, working closely with UN agencies, multilateral financing institutions, the private sector, and civil society. The SDSN Secretariat is hosted by Columbia University with staff in Paris, New York, and New Delhi. National SDSNs mobilize universities, research centers, civil society organizations, business, and other knowledge centers around practical problem solving for sustainable development. Can This New Solar-Powered Device Purify Polluted Water? Worldwide Water Shortage by 2040?